Prominent & Leading Manufacturer from Mumbai, we offer d cut bags for shopping center. 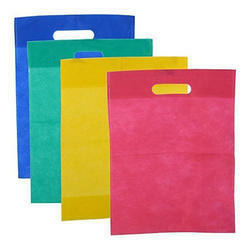 We are the surely understood manufacturer, wholesaler and supplier of a wide cluster of D Cut Bags for Shopping Center. Our specialists utilize high caliber of material for manufacturing these bags alongside development machines taking after the business standards. Clients can undoubtedly buy these bags from us inside a conferred time allotment at reasonable rates.